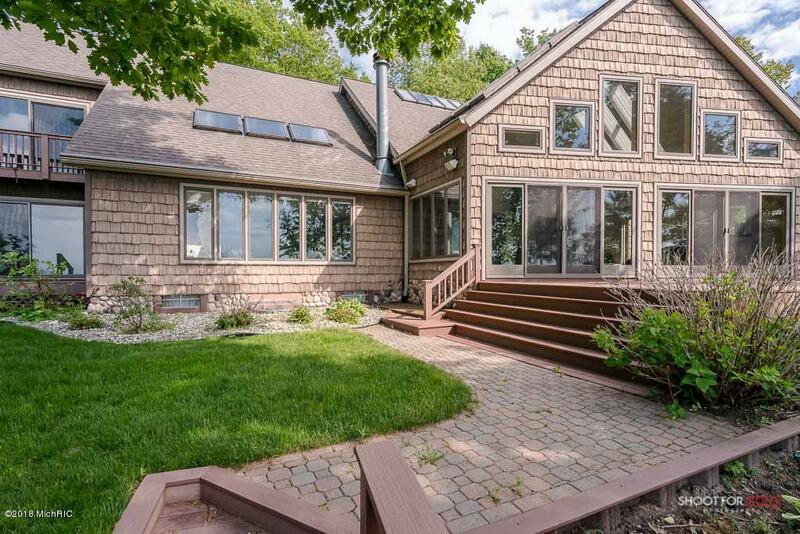 Hard to find 233' of sandy Lake Michigan frontage is private and features a gated entry. Completely updated home features over 4000 sq. feet with 3 bedrooms, and 3 1/2 baths above ground with an additional bedroom, office and full bath in the lower level--bring all your family and friends to enjoy this beautiful home and property! This home features new paint and flooring, and higher end finishes throughout and has water views from almost every room. The spacious master suite has sliders to a deck and an attached updated bathroom with tiled walk in shower. 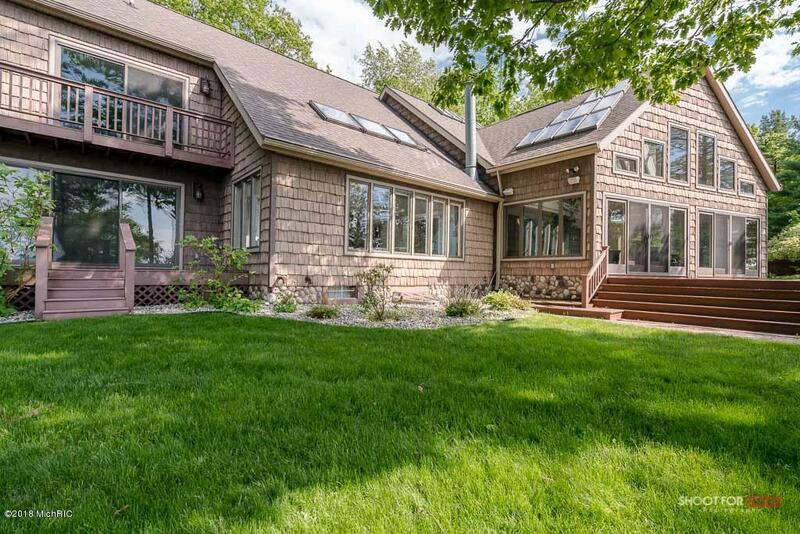 The remodeled kitchen features solid surface counters and is open to the dining and great room which has vaulted ceilings and expansive windows for priceless views of Lake Michigan.Swim all year round in your indoor, heated 16' x 30' pool if Lake Michigan is too cold! The pool room is attractively finished with river rock decking and 24' high ceilings, and automatic skylights. Adjacent to the pool room is a large 4 season sun room with river rock floors and sliders to an expansive deck. The seller installed $200,000 of new composite decking and stairs and a new lift to the waterfront in 2014. The grounds are manicured and beautiful and have underground sprinkling. A rare opportunity for a piece of paradise! Property consists of 2 116' lots that could easily be divided. Listing provided courtesy of Laurel J Zwit of Greenridge Realty Montague. © 2019 MichRIC, LLC. All rights reserved. Information deemed reliable but not guaranteed.